A study found that older people who have metabolic syndrome, a group of cardiovascular risk factors, had a 20 percent higher risk of cognitive impairment compared to people without the syndrome. Metabolic syndrome doesn’t refer to any single type of metabolic disease, but instead to a specific group of symptoms, including abdominal fat, insulin resistance, high blood pressure and elevated cholesterol levels. As many as one in four Americans has metabolic syndrome, according to the American Heart Association.Researchers from the National Institute on Aging, the University of California at San Francisco , the University of Pittsburgh School of Medicine, and the University of Tennessee at Memphis collaborated on this study of 2,632 people aged 70 to 79.Slightly more than 1,000 had metabolic syndrome, while 1,616 did not. Overall, those with metabolic syndrome had a 20 percent higher risk of developing cognitive impairment during the study period. People who had high levels of inflammation and metabolic syndrome fared even worse, with a 66 percent increased risk of cognitive impairment compared to those without metabolic syndrome.Dr. Goldman added, “The treatment of choice for metabolic syndrome is exercise and weight loss. While we do have a number of medications that can improve biochemical defects, healthy living is probably the most efficient and safest treatment.” Doing this “You can possibly lower your risk of Alzheimer’s disease and other cognitive declines by what you do decades before,” he said. It is more than just eating healthy and exercise, it is living the 7 Basic Steps to Total Health each and every day because you reap what you sow. So, how can you change and overcome symptoms, conditions or disease? 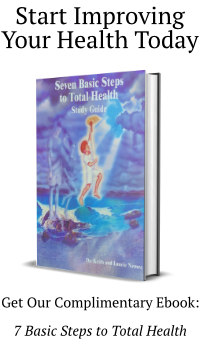 Start planting the 7 Basic Steps to Total Health – Audio Guide(TM) everyday and you will see them start to grow and eventually reap the harvest of Total Health of Body, Mind and Spirit. Prayer–you are taking the time throughout your day to regularly still your mind so you can hear the voice of God spoken into your heart. 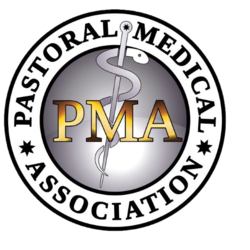 Fasting–you are not fasting from the normal Standard American Diet (SAD). Exercise–you are not exercising 30 minutes every day. Sleep–you are not sleeping 9.5 hours with 3.5 of them before midnight. Food–you are not consuming a diet of living/raw plant food which has the highest energy, bioelectricity, enzymes and bioavailable nutrient content to either maintain or restore your health. Water–you are not drinking 32 ounces of distilled water per 50/lbs per body weight per day. Air–you are not deep diaphragm breathing to oxygenate your body.